Deal alert iGadgetsworld fans! Xiaomi Smart Mi Air Purifier is available with 59% discount now. I believe there’s a great need for this gadget now as there’s an increase in pollution levels in India, we know how hazardous breathing has become. 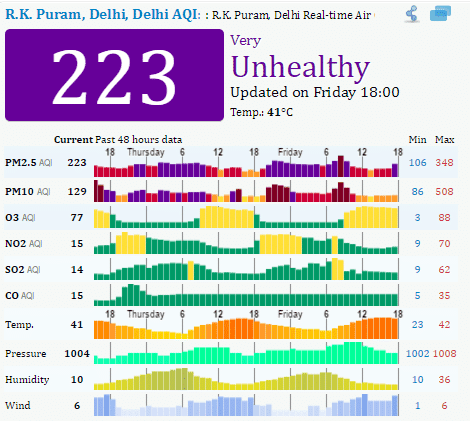 The speed with which the pollution is rising, the day is not far when there will be a Red Alert, like it was in China, for residents to wear breathing marks. This deal alert brings the best rate for Xiaomi Smart Mi Air Purifier for purified air at your home. It is a portable, high capacity air purifier producing about 10000 liters of clean air per minute. The Standard Mode of purification capacity is up to 330 cubic meters per hour which can go up to 380 cubic meters per hour in the Super Mode. It has got dual fans & four ducts for larger circulation. It absorbs formaldehyde, removes smoke & dust and filters PM2.5 to provide fresh air to you. The key features are listed below. Compact in size & requires only small area. It sports double fans with four air ducts that can efficiently clean the air circulation throughout the house. It nearly produces 10K liters of pure air per minute. You can easily monitor air quality in real-time & can control the speed automatically using a smartphone. You can setup automatic, sleeping, high-speed or a timing mode. The Chinese eCommerce giant, Gearbest is providing a massive discount on this Xiaomi Smart Mi Air Purifier. The regular price of this air purifier is $402.67, but under the special flash sale, it is available at $163.99. Especially, for our readers, You can further use promo code GBMiAirP and get the gadget at $159.99 with free standard shipping to India, US & other countries.